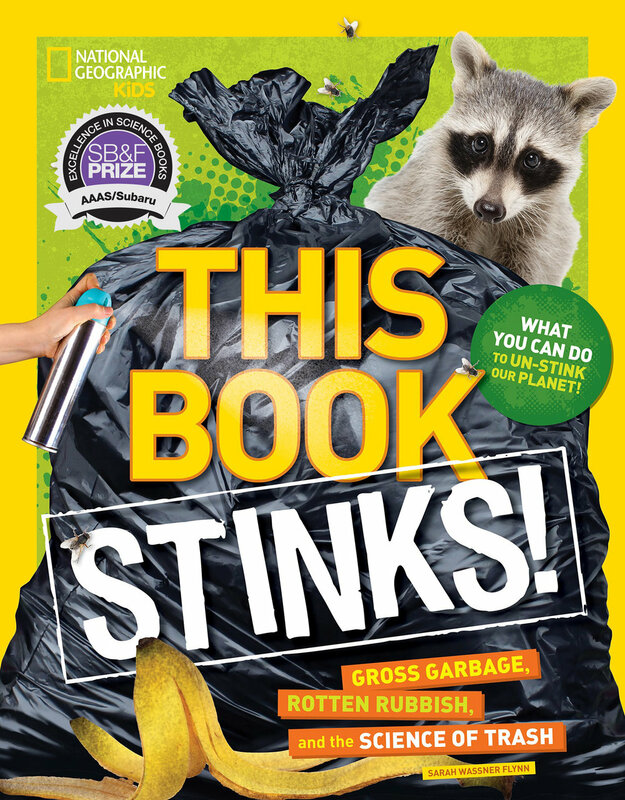 This Book Stinks! : Gross Garbage, Rotten Rubbish, and the Science of Trash, by Sarah Wassner Flynn. National Geographic Children’s Books, 2017. From composting and recycling, to landfills and dumps, to how creative people are finding new ways to reuse rubbish, this book is jam-packed with infographics, thematic spreads, wow-worthy photos, sidebars, serious stats, and fabulous facts. But it gets the nod as the winner in the hands-on category because of its activities that inspire kids to take action, be proactive, and rethink the things we throw away. There are articles about people making a difference as well as creative uses of garbage. Infographics provide quick glimpses into junk in space, the most garbage producing nations, as well as facts about recycling and food waste. Brief quizzes and suggestions for contributing to the effort to reduce waste are also included. This is an important and eye-opening book for young readers. It would also make a great text for environmental studies classes. Sarah Wassner Flynn has authored several children's nonfiction books for National Geographic. Her other most recent titles include Awesome 8 Extreme, and 1,000 Facts About the White House as well as Animal Records. She has also contributed to The New York Times bestselling National Geographic Kids Almanac for several volumes, as well as the popular Weird But True series books, including Weird But True Gross, Weird But True Food, and Weird But True Christmas.